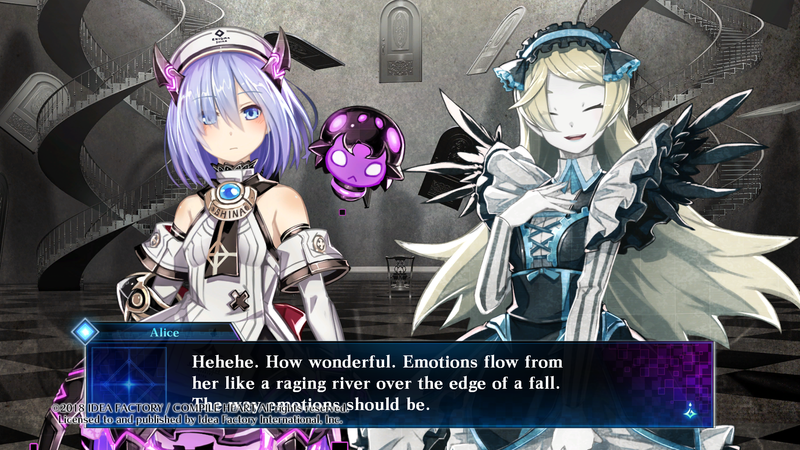 At its most basic level, Death end re;Quest has two parallel narratives. Shina Ninomiya is trapped inside the virtual reality game World’s Odyssey and is attempting to find her way out; and Arata Mizunashi, one of the programmers of World’s Odyssey, is investigating the situations — where is Shina in the real world, how did she get trapped in the game and why? Shina’s narrative follows many traditional tropes of fantasy adventures — not just isekai, but traditional heroic fantasy in general. She starts from a rather unassuming beginning — a house literally called the “House of Beginning” — and quickly realises that she is lacking her memories, thanks to that tried and true plot device that helps the player learn about the world at the same time as the protagonist. Something’s a bit different from the usual trope here, though. 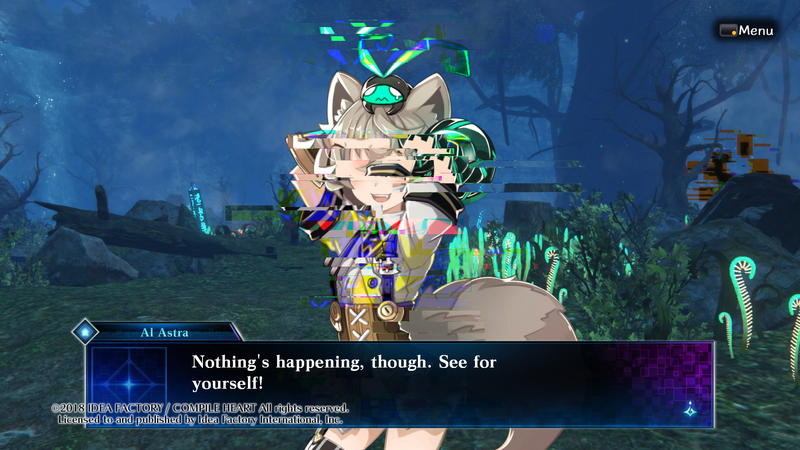 Shina may have amnesia, but it doesn’t take long for her to start recalling important things such as who she is, who Mizunashi is and the fact she’s in a game rather than experiencing reality. Several important things remain “missing”, however. Shina still doesn’t know why she’s stuck in the game or how it happened in the first place; she’s not sure of the relevance of the house she woke up in or the memorabilia she found dotted around the place — some of which seemed to show images of her; and she’s certainly not sure why she appears to have a bug perpetually following her around, or why she seems to have sprouted glowing purple spider legs from her thighs. 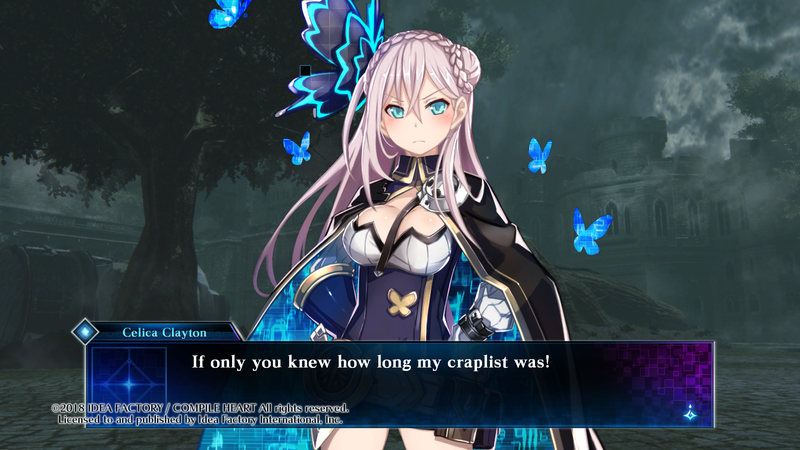 Mizunashi and Shina quickly determine that the way to get her out of the game, given that the conventional “log out” function appears to have been forcibly removed, is for her to complete World’s Odyssey and reach what is referred to as the “Ending Engage”. By defeating the game’s final boss, it seems, Shina will be logged out of the game automatically without having to rely on the missing user interface functionality. Seems simple enough — particularly as between them, Mizunashi and Shina should, in theory, know everything there is to know about World’s Odyssey and its content. Well, of course, it would be simple were it not for the fact that World’s Odyssey is falling apart, and no-one knows how or why it is still active in the first place. Mizunashi’s company ceased development on the game following Shina’s disappearance, and the servers for the game were supposedly shut down. So how is Shina still there? Here we have one of the interesting themes the game as a whole explores: the relationship between the digital and the physical world, and how someone being “absent” from the physical world doesn’t necessarily mean they are nowhere to be seen in the digital world. No-one knows where Shina is in the physical world, but she is still able to communicate and interact with Mizunashi thanks to World’s Odyssey. 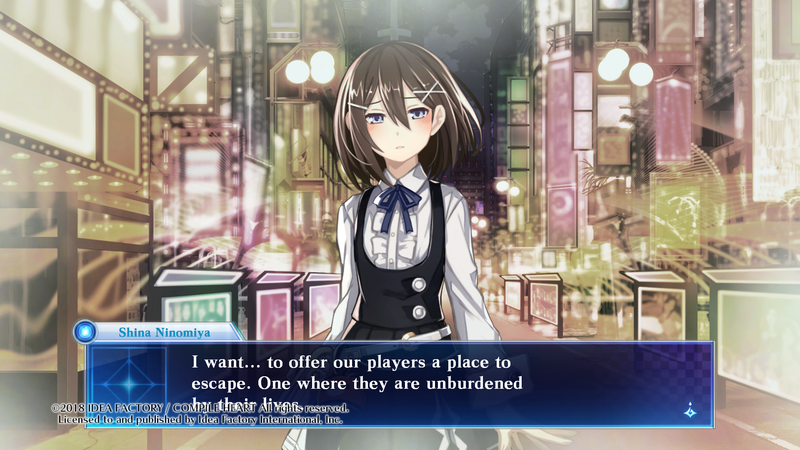 At the same time, there’s a sense of fragility here; in probably the most timely aspect of Death end re;Quest’s setup, World’s Odyssey is a cloud-based game, suggesting that there’s no real permanence to the world or any of the characters in it. The game came back suddenly, so what would happen if someone pulled the plug again? Where would Shina go? Does she still “exist”, if no-one can find her? These are the kind of questions Mizunashi finds himself asking in the game’s “real world” component. It’s clear that he cares deeply for Shina right from the outset, but it frustrates him that he’s so “close” yet so far away from her. Following her progress and assisting her from his laptop, he is able to “inhabit” World’s Odyssey with her after a fashion, but not truly. Even within the limitations of his “Mr. Enigma” moderator avatar, however, Mizunashi makes frequent reference to the fact that the remote, non-physical in-game interactions can “feel” real at times. As anyone who has ever played a more socialisation-centric online experience such as VRChat or Second Life will know, virtual physicality can, at times, evoke similar emotional and physiological responses to actual physicality. And by extension, relationships you cultivate in the virtual world can be just as real as those you develop in “reality”. There’s another interesting layer to Death end re;Quest, however, that doesn’t become immediately apparent. In fact, in contemplating it at all we’re jumping pretty much ahead to the end of the game, but it’s worth looking at now, since the game actually lampshades this aspect several times well before it makes it explicit. This additional layer is the relationship between player and game. I’m not talking about the relationship between Shina and World’s Odyssey or Mizunashi and Shina… I’m talking about the relationship between you and Death end re;Quest. The first hint we get in this regard is actually right at the very beginning of the game, where we witness Shina being violently killed by a giant monster. Mizunashi, observing, notes that “this Death End is horrific”, which is a rather strange way of putting it, but then Shina awakens in the House of Beginning, believing her violent death to be nothing but a nightmare. And perhaps it was nothing but a nightmare. But the fact remains that Mizunashi clearly recognised it as a “Death End” — a fatal but avoidable potential outcome, and something you’ll find yourself having to avert numerous times over the course of the game. The hints continue as the game progresses. 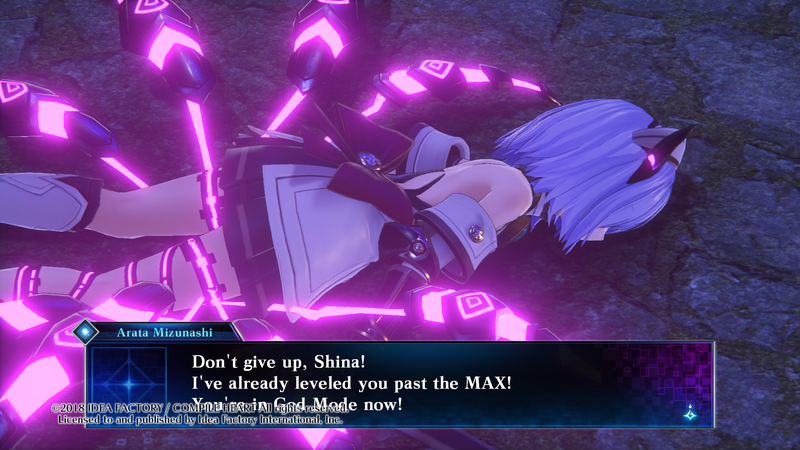 Early in the game, Mizunashi and Shina have a conversation about how she will activate the Ending Engage, during which Mizunashi recalls that Shina once told him it would take about fifty hours to reach the end (which it does) and that in order to unlock the True Ending and the Ending Engage beyond you will need to complete all the sidequests. 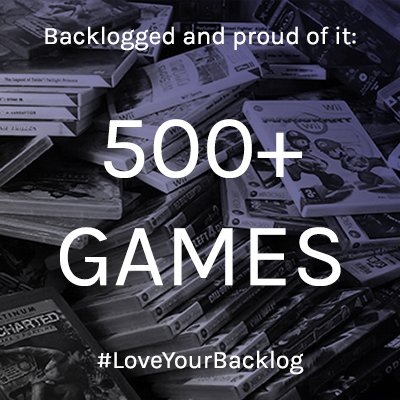 Indeed, some fifty hours later, if you haven’t bothered to engage with the seemingly completely optional sidequest system, you will only get the game’s somewhat premature “Normal” ending (and the accompanying trophy “What, You Thought You Were Finished?”). But let’s return to this aspect a little later, as there are other interesting things to talk about along the way. The first matter which the game explores is the question of feeling a sense of attachment to virtual characters. 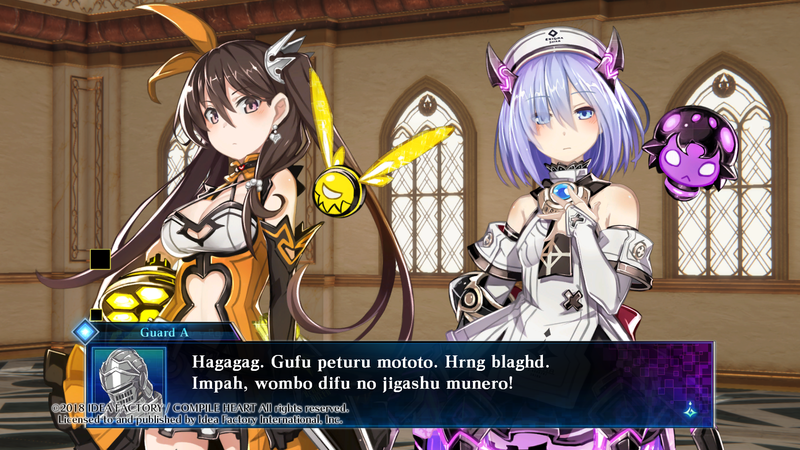 Upon encountering seemingly bugged versions of NPCs that they had included in the game, Mizunashi and Shina are struck with how “human” they seem to be. They are able to carry on conversations with Shina, Mizunashi and one another, and their reactions to events unfolding are extremely convincing. You don’t necessarily need advanced artificial intelligence to make interesting, compelling and relatable characters, however; you just need good writing, and perhaps some nice art and voice acting to go with it. It’s not at all uncommon to hear people talking about how attached they feel to a favourite game’s cast, or perhaps a specific character in a particular game. The language used when people have these discussions refers to these characters as if they are “real” people rather than just pixels or polygons on a screen. Given how character-centric Compile Heart RPGs tend to be, this is something that both the developers and prospective players of Death end re;Quest will be well familiar with by this point. The game simply draws particular attention to this by having both Mizunashi and Shina comment on this… but they, of course, are also game characters in their own way. Is your head hurting yet? Something seems a bit “off” about the characters Shina and Mizunashi encounter over the course of their adventure, however. Everyone who joins their party is someone they previously designed and programmed into the game as an NPC, but the way they look, sound and behave always seems to be very much at odds with their original design specifications. 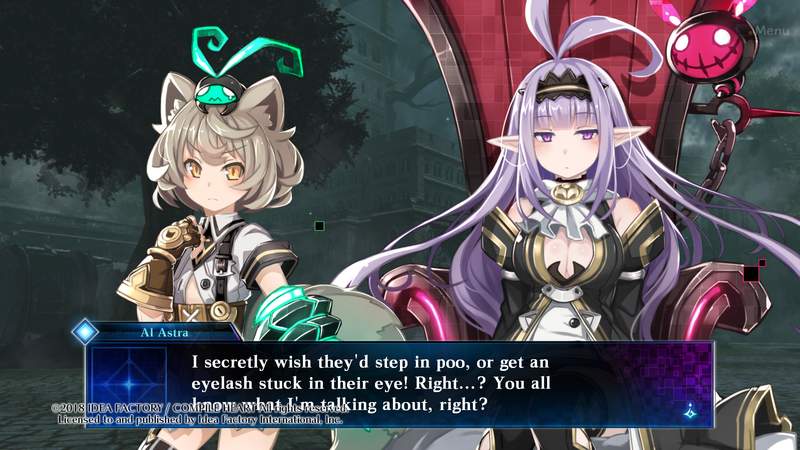 The pair initially attribute this to the “Entoma” bugs they all seem to be infected with — something they have in common with Shina — but as the narrative progresses, it becomes apparent that there’s something more significant at play. 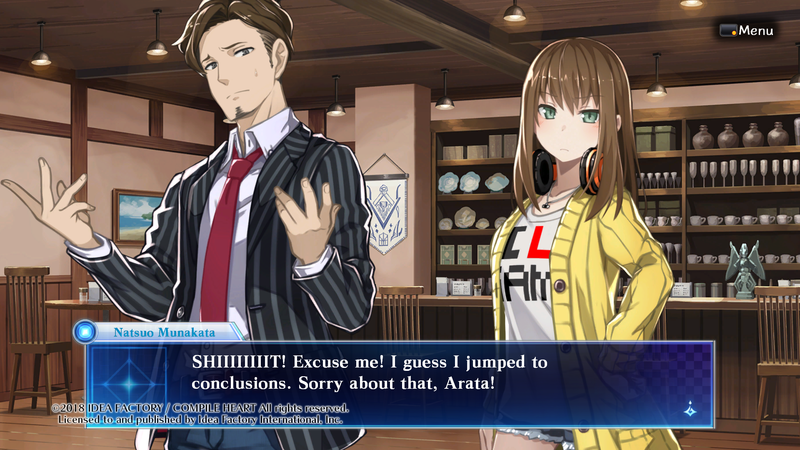 Shina and Mizunashi become suspicious that these “characters” may actually also be real people — and Mizunashi’s investigations in the real world turn up a number of missing individuals with more than passing resemblances to the “NPCs”, all of whom vanished under similarly mysterious circumstances to Shina. 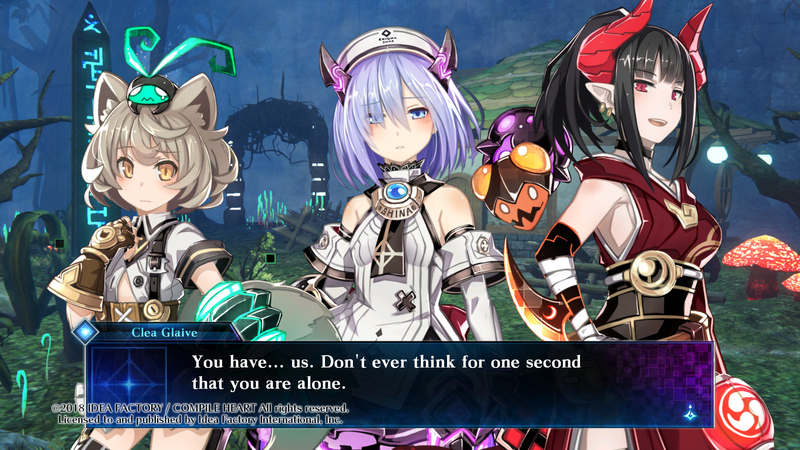 It’s not until the latter half of the game, however, that they are finally able to confirm this for themselves — as well as finally figuring out exactly what it is that hasn’t seemed quite “right” about each of their new friends. In short, each of them is lacking a specific emotion. 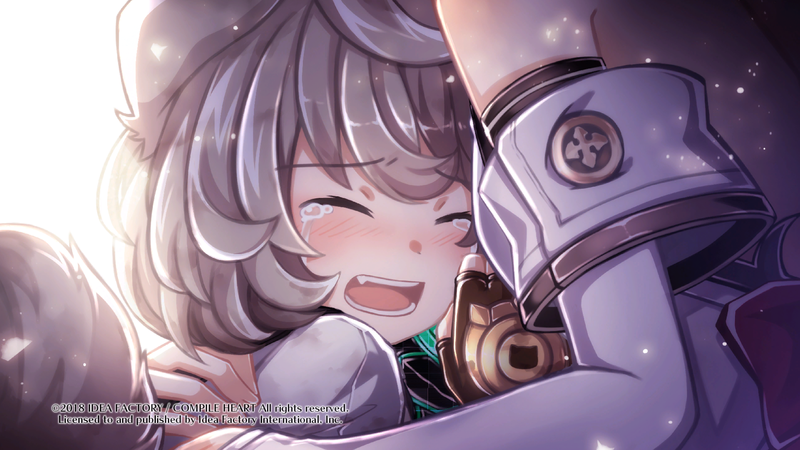 The reason for this is that their companion Entoma bug has been consuming it for themselves, but when the bug is fully sated, the emotion in question boils over. We see this for the first time with the typically rather demure, prim and proper princess-turned-queen Lily, who explodes with rage and ends up spitting acid about how nothing she did was ever good enough for her stepmother. Or, rather, nothing was ever good enough for “Yurisa Yamamura’s” stepmother. Once the party manage to calm her down (by beating the crap out of her — this is an RPG, after all) Lily isn’t sure what to make of the revelations she experienced, convinced that she was having some sort of delusion rather than, as is rather obvious to Mizunashi, Shina and the player by this point, reliving an actual memory from her real-world existence. One by one throughout the remainder of the narrative, the other party members each come to recognise and acknowledge the emotion they are missing before reaching boiling point and having a “dream” of their own. But why are they missing these emotions in the first place? A good question. For sure, we’ve seen RPGs in which characters have repressed memories or emotions before, but in Death end re;Quest there’s a rather more sinister reason for it all. And it all relates to Aggle and the Alice Engine, as you may well have surmised for yourself by this point. “With the installation of Eriza onto nearly every mobile device in the world,” Mizunashi explains to the player through his narration, “Aggle gained access to millions of terabytes of user data.” Eriza is, of course, analogous to a combination of virtual assistant applications such as Apple’s Siri and Google’s “OK Google” and the data that services such as Google collect on you while you make use of their services. This is something that we, in actual reality, tend to take for granted these days, because nothing too sinister has happened with it… yet. 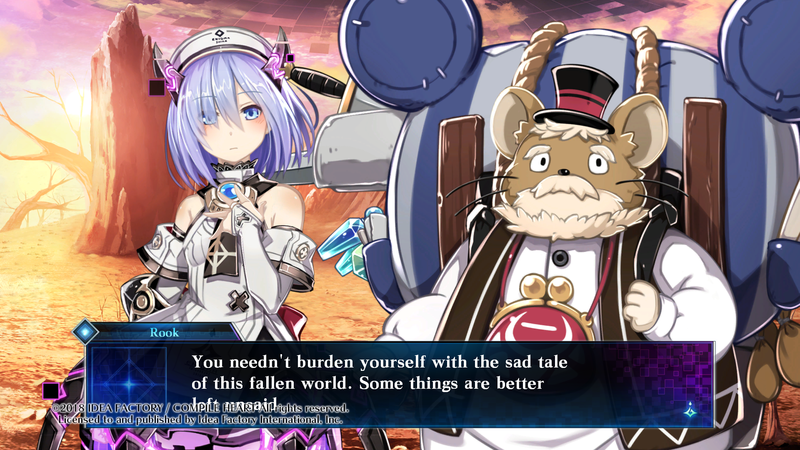 Not so in the world of Death end re;Quest, as Mizunashi discovers during his investigations. And why? Well, for the creation of those ultimate life-forms, of course, known as the Ludens. (“Ludens” means “playing” in Latin, by the way; this, obviously, is not a coincidence.) 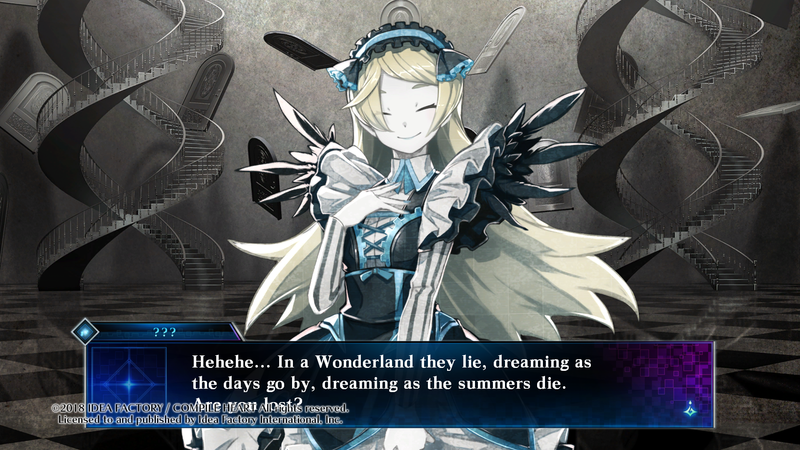 But it seems that the efforts of Aggle — or, more accurately, the ancient secret society pulling Aggle’s strings from behind the scenes — had been failing to bear fruit in this regard, and it wasn’t until World’s Odyssey was nearing completion that a Ludens was successfully manifested within the virtual world of the Alice Engine. Unfortunately, it would only listen to Shina… and moreover, rather than eschewing the disruptive influence of emotions, it seemed extremely interested in what emotions had to offer, particularly those which related to a sense of belonging, attachment, friendship, love. Anyway, the reason all this started in the first place, of course, boils down to that pesky old human curiosity. As Mizunashi and Shina’s perpetually absent (but seemingly always watching) CEO Werner Glock puts it, “the thought patterns illuminating the path to sentient machine life are the same that inspired our forebearers to study alchemy.” Indeed, while alchemy is most readily associated with the practice of things like transmuting one substance into another, it is often also depicted as an art capable of creating life from seemingly inert objects. 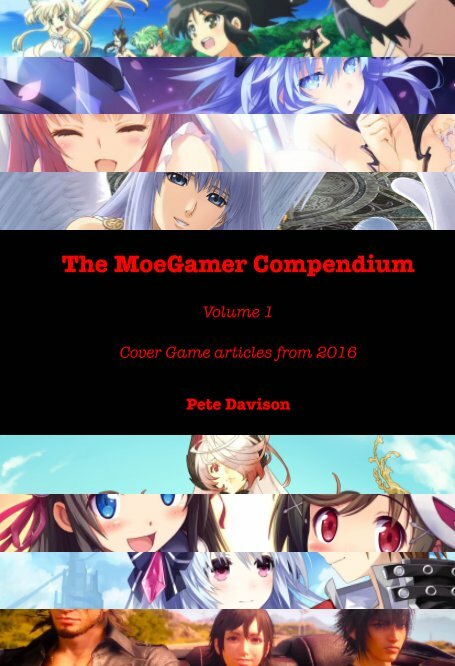 Indeed, we have already seen this a few times here on MoeGamer in games such as Shadow of Memories and the Atelier series. As the narrative progresses, the party finds itself outside of the main “reality” of World’s Odyssey in a dimension called the Strain Area. Here, three Ludens make their home; initially, they introduce themselves as being “no-one, yet” but subsequently describe themselves as agents of desire, wrath and fear. Like the early Ludens that Shina somehow managed to summon forth, these Ludens are also very curious to learn about human emotion and their place in the world. Perhaps more significantly, there is also a fourth Ludens, who the party encounters before stumbling across the main group. While the group seems content to stay in the Strain Area and observe, Ripuka, as this fourth Ludens calls herself, is “frighteningly self-aware,” in Mizunashi’s words — along with being absolutely batshit crazy. 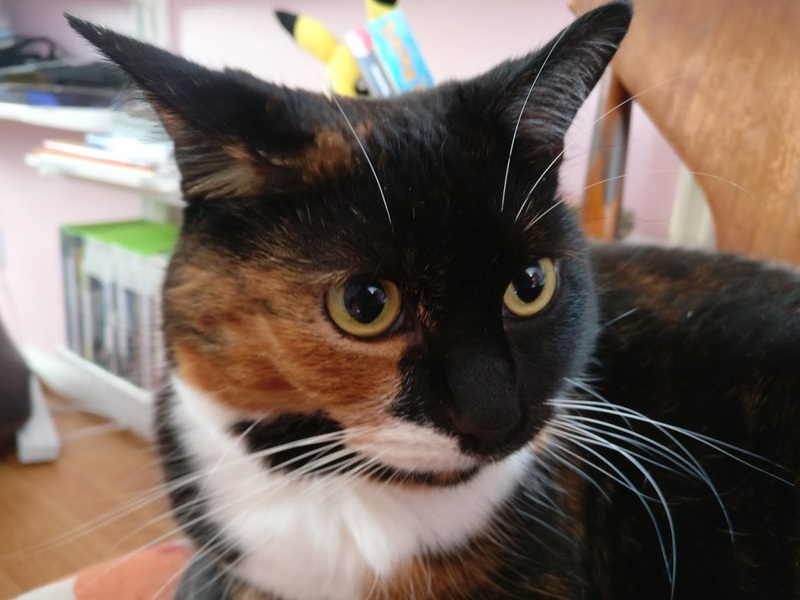 Not only that, she’s both willing and capable of violent atrocities in the broader world of World’s Odyssey, one of which we witness the aftermath of as Lucil’s village is butchered. The three Ludens in the Strain Area show no remorse for Ripuka’s actions, but they also do not necessarily approve of them either. Rather, they find the party’s emotional reactions to her rampage fascinating, and are thus keen to continue observing where things go from there. Indeed, there’s plenty for them to learn from in this regard. Lucil initially feels rage at Ripuka, but subsequently guilt at wishing ill on others — a guilt which the rest of the party is more than happy to assuage with their own stories of quietly cursing those who have wronged them to varying degrees of severity. The Ludens then have the opportunity to witness the conflict between duty and empathy as Lily is forced to go against Lucil’s wishes by checking on her kingdom rather than immediately checking on the survivors of Lucil’s village and pursuing Ripuka. They see how friendship and a sense of belonging allows people to reach compromise, even with seemingly diametrically opposed viewpoints, and how trust can elicit sincere, honest forgiveness when it becomes necessary. The Ludens, then, are collecting “data” in the same way as Aggle’s systems; the difference here is that they are “alive”. They observe, they occasionally provoke, they record the results. In doing so, they learn, they grow, they evolve. They’re neither good nor evil; they just are. They’re a fascinating inclusion to the complex, ambitious narrative. What no-one involved in all this counted on, of course, was the fact that when you start playing God, the fabric of reality tends to start fraying a bit. Particularly when you start (perhaps accidentally) creating lifeforms unconstrained by the conventions of reality; lifeforms that are very curious about pushing the boundaries to see what bends and what breaks. And especially when you start bending the rules by building your own reality by making use of things from the “real” world… such as the brains of 10,000 unwilling test subjects. Or the repressed emotions of six incredibly strong-willed young women. There is, of course, someone watching Mizunashi, as we’ve previously mentioned. In fact, there are two. One of them is someone known as an Observer, who, before departing having very much Broken the Rules more than once over the course of the complete adventure, explains how she has left a variety of clues for Mizunashi to follow — and even manipulated reality in his favour once or twice. The other is you. You are also an “observer”; you are the one who can manipulate and distort Mizunashi’s reality. You can choose what happens when; you can save your game to return to an earlier time, potentially averting Death Ends in the process; ultimately you are the one who guides Shina and Mizunashi through their adventure, perhaps leading them to a satisfactory conclusion, or perhaps leaving it forever unresolved. And the way you feel about everything that is transpiring is going to have a direct effect on how everything concludes. Mizunashi seems increasingly aware of this as the game progresses, but it’s not until the decision point that determines whether or not you will get the “normal” or “true” end that he addresses you directly for the first time. He asks for help; in order to get the true ending, you need to willingly offer him your help, acknowledging him as a “person” rather than just some art and text on the screen in the process. By this point in the narrative, the virtual reality of World’s Odyssey and Mizunashi’s “reality” are already colliding, so it’s not much of a stretch to incorporate your reality into the mix as well. But will your powers be enough to fix the mess that Mizunashi’s world has become by the conclusion of the narrative? Or would it be best to start all over again and try to do it better next time? Is there any point even trying?